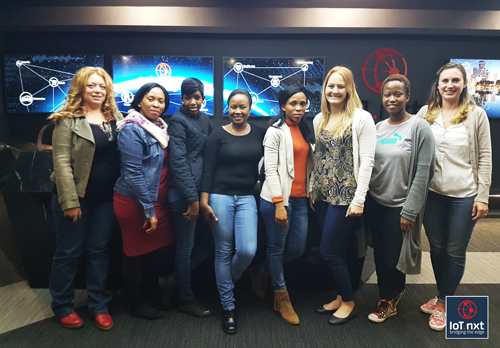 With Women’s Day just around the corner, we took a look at a few of the women driving tech forward. How did we pick them? Well, tech is a broad term, so we looked for women driving positive change in society using, and creating, innovative solutions. Samantha Payne is the co-founder of Open Bionics, an award winning robotics startup creating low-cost bionic hands for amputees of all ages. Alice Bentlick taught herself to code, and then formed Entrepreneur First, a company focused on supporting engineers and computer scientists by getting them from ideation to seed funding. She also founded Code First: Girls, to help get more women into tech. Katie Massie-Taylor and Sarah Hesz, despite not coming from tech backgrounds, created an app called Mush to help moms meet other moms. ‘It occurred to us that in a world so well serviced with technology connecting people, it was madness there wasn’t one for mums to find other likeminded mums nearby,” they explained. Gail Carmichael is the External Education leader at Shopify. What does an External Education leader do? We’re glad you asked. Gail helps make the experience of learning computational thinking and computer science better for everyone, focusing on policy, outreach and diversity, degrees and apprenticeships, and academic research. Tell us that’s not driving tech forward! CEO and Founder of Everly Well, Julia Taylor Cheek is helping reshape the lab diagnostic testing industry by using technology to streamline processes and solve problems. Chief Experience Officer for the Experience Organisation at Microsoft, Julia Larson-Green uses her passion for building tech that “takes care of time-consuming tasks” to incubate new technologies and experiences that help people get things done. Helping women push their ventures forward is Anjula Acharia-Bath, partner at Trinity Ventures. She was an early investor in ClassPass, Gobble and Hooked, to name a few. Founded to help close the gender gap in technology, Girls Who Code works to create change agents in communities. Reshma Saujani aims to help bridge the opportunity gap for young girls through after-school and summer immersion programs. It doesn’t stop there. The Girls Who Code alumni are giving back in a YouTube series called My Code. And then there are the women of IoT.nxt. We’ve built up a team of incredible women who work across the various departments of our business and are constantly on the lookout for more brilliant minds. They’re all ferocious in their appetite for tech, and work tirelessly to drive innovation forward in our business. Here’s to all of you, ladies.